Gillian Chivinge has a bursary from the Oasis Foundation to act as an intern on the Windsor Leadership Dialogue, part of the foundation’s commitment to supporting leaders of tomorrow. The theme for 2019 is ‘Reimagining Leadership’. Gillian here reflects on her time as an intern and her takeaways from Windsor. What makes the participants good leaders? I did not ask this question outright. But from what I observed, I would say what makes a good leader is listening, questioning, potentially taking what may seem like a personal risk to do the right thing, and funnily enough admitting when you do not know the answer. Despite them seeming intelligent and well informed from where I was standing, they acknowledged: ‘I know I am not the wisest person here because I know that I know nothing’ – Socrates. Why don’t I see myself in society’s visible leaders of today? It was option 5 (mostly), perspective! It was immediately apparent to me that various leaders have various demeanours and personalities and I almost feel as though I had been ignorant assuming many leaders were so homogeneous. While everyone had convened for a common purpose and perhaps had similar attitudes towards life, they were all so different and I managed to see elements of my own personality in almost all of them. What a relief! Note: cognisant of the fact that it was an informal environment and that they were also the types of leaders who acknowledged that they still had things to learn, despite their titles. Nevertheless, my experience was still sufficient for me to conclude that there are no personality traits that define a leader, probably just attitude. What do I need to do to become a good leader? Again, I did not know how to ask this outright. However, nuggets of advice that I did manage to pick up were: a) to be who I am but enjoy continuous growth, b) to work on my networks, and c) to take some professional risks. Any other nuggets welcome at gchivinge@gmail.com. Outwith that, I will try to emulate what I observed as written under question 1. Inspired – by the participants’ desire to try to make positive tangible change within society and by the fact that they were willing to grapple with the frustrating obstacles that life puts in the way. Comforted – by the fact that such accomplished people not only acknowledged but actually embraced the fact that they still had growing to do and things to learn. Relieved – because while working on my self-awareness and emotional intelligence remains important to me, I now know that I don’t need to obsess about knowing every aspect of one definitive version of myself. All I can be is who I am today and the destination itself is continued growth. Energetic and excited – apparently I am already a leader! …so they said. As a result, there is no need for me to wait to take ownership of things until I have a grander title, it can all start (or continue) now! Weird! – on Tuesday morning we created something that you can feel when a group of people give all their attention to a common task. For a moment, we were on a wavelength that created an atmosphere that cannot be described or quantified but was powerful, energising and outright bizarre. I am grateful to have been part of it, will not forget that sensation and look forward to experiencing it again someday. Grateful – I am going away feeling very grateful to Nick for enabling me to have this experience, the leaders for embracing me, and to our hosts at St George’s House, Windsor Castle. Not only were the staff excellent, grounds beautiful, and choir spectacular, but there was also something about being stood in the chapel “within” centuries of history that made reflection different, easier and stronger. 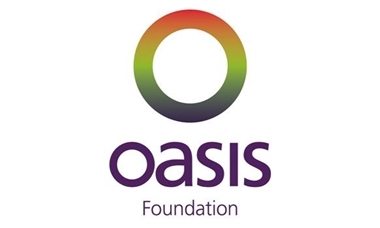 Find out more about the work of the Oasis Foundation.